Okay, this situation is bizarre and happening far too often of late. I just do not get it. 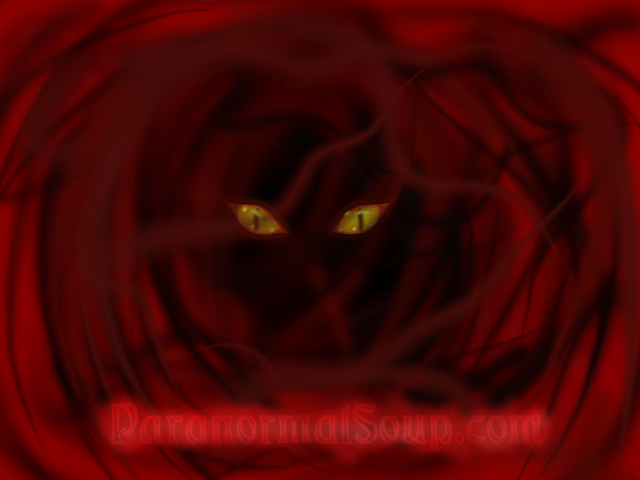 To read the entire post, please click on the "Source" link. 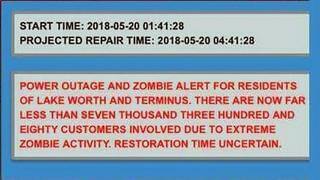 Someone may be in a bit of trouble after a mass ‘zombie alert’ text was sent out during a power outage. Residents became concerned after receiving the bizarre push alert message from the City of Lake Worth in Florida around 1.45am, in the midst of a power black-out. Local media outlet, Palm Beach Post reported the mention of ‘Terminus’ was potentially referencing the city in the popular zombie TV show, The Walking Dead. It reported a post on a community Facebook page had indicated the zombie apocalypse message was unintended. “We are looking into reports that the system mentioned zombies,” City public information officer, Ben Kerr wrote. Kerr went on to say 7,880 customers had been affected by the outage and that power was restored within 27 minutes. It's only scary if you're dumb as a brick and believe zombies like we see in movies exist. Holy crud. The push is quite dumb even if it is childish and annoying. Edited by moiraesfate, 05 June 2018 - 09:19 AM. I read another article where they said the reason the message got out if because they were hacked a few months ago, and they had thought they got all the fake messages out, but they apparently missed that one in their system. I think they better look a bit more thoroughly, the next time they get hacked. haha I love the "Terminus' reference! I remember a few years ago a current affair show (60 minutes) interviewed a group who believed there would be a zombie doomsday apocalypse and what they were doing to prepare for such an event. I remember my grandson being very frightened at the time. Somehow, I don't think I would be happy if such a warning text came out and it was dark and I was out in the open. Especially, when fiction can closely resemble fact. In the insect and amphibian worlds, their already is a fungus that can turn a bug into a zombie and a parasite that can do the same. You can check them out in the YouTube videos. Things That Turn Animals into ZOMBIES!